Though it feels more like summer here in Tampa (it was 92 degrees yesterday), I'm ready to embrace spring with more Who What Wear for Target. As I've mentioned in my last few blog posts, the Who What Wear x Target collaboration is a monthly collection featuring on-trend clothing and accessories all at affordable prices. I've eagerly anticipated the release of this particular dress, the Bardot dress, which is available in solid black, black and white stripes, and an oversized floral print. With its trendy off-the-shoulder silhouette, you can pair the Bardot with bright, pops of color for a stylish entry into spring. I often joke that my favorite color is really just black and white stripes. The pattern is adaptable to any style, whether classic Parisian chic or edgy punk rocker. It transcends trends and adds a striking graphic element to any outfit. The pattern works well with the silhouette of the Bardot dress, with strong graphic lines of its own seen in the off-the-shoulder neckline and short sleeves. Made of a stretchy, jersey fabric, the Bardot is also incredibly comfortable. At only $29.99, it's a good deal too. What I love most about this dress are the many ways you can style it. 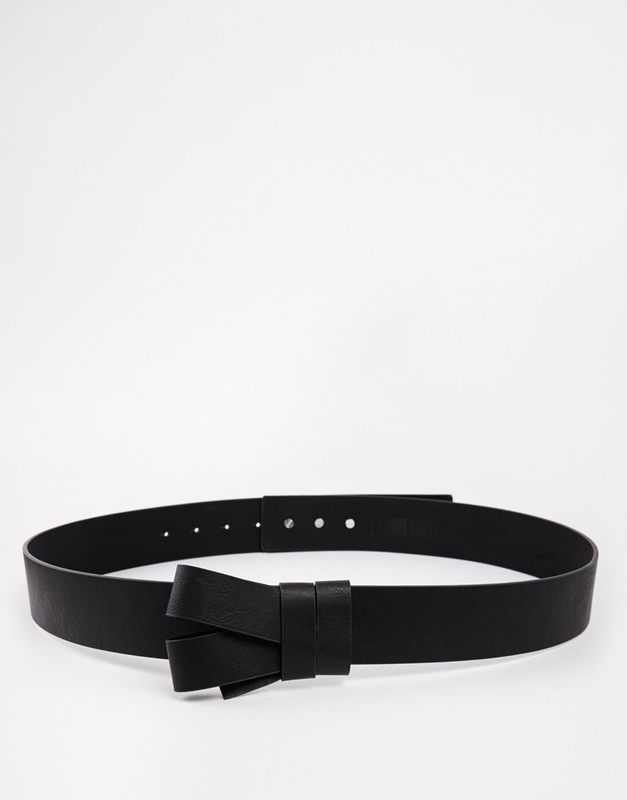 The striped or solid black version can be paired with either a chunky or skinny belt and some flat sandals for a day's excursion. For night, opt for a statement necklace hitting above the neckline. Pair that with strappy sandals or stilettos for a date-ready look. The floral version works great for night as well, paired with strappy sandals and statement earrings. To add some color fit for spring to my dress, I chose my favorite BaubleBar necklace, the Frank bib. I get major Carmen Miranda vibes when I wear it, as the rainbow-colored stones remind me of fruit. I highlighted the red tones in my necklace with a red lip and bag from Coach. The Riley is one of the first Coach bags I ever bought, and I adore its versatility, functioning as both handbag or crossbody. The latter is perfect for daytime while the former works well for night. To keep with my dress' classic appeal, I went for my go-to Prada wayfarer shades. I styled my look with two pairs of shoes to show its versatility as both a day and night option. 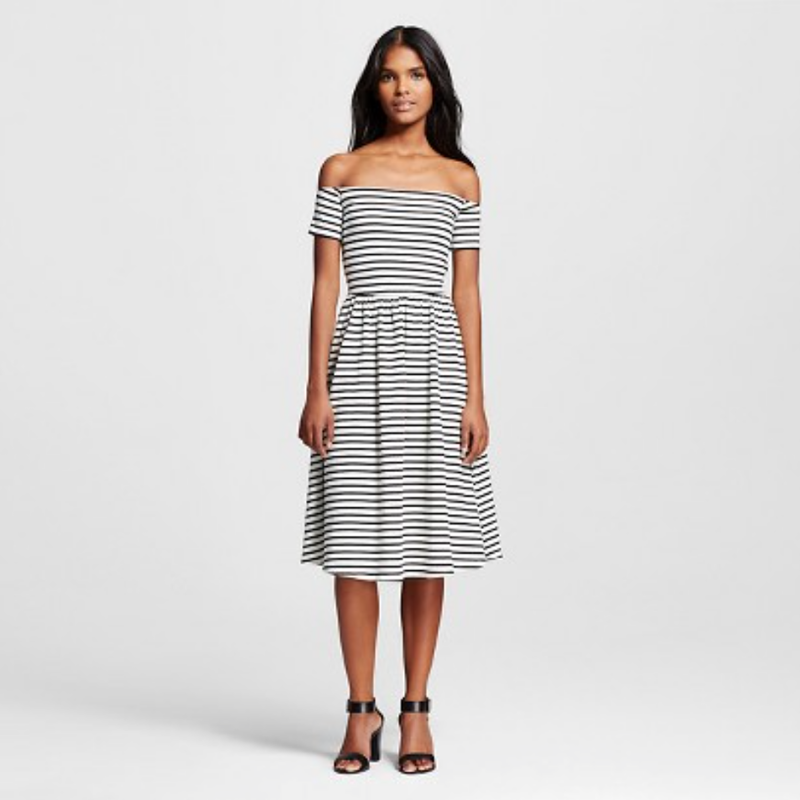 For night, I'd wear this with my chunky heel Zara sandals, which I like to call my Barbie shoes; they remind me of the black mules the first-ever Barbie wore, and hey, she wore a striped bathing suit too! For a day look, I chose these Coach Justine flats in black. 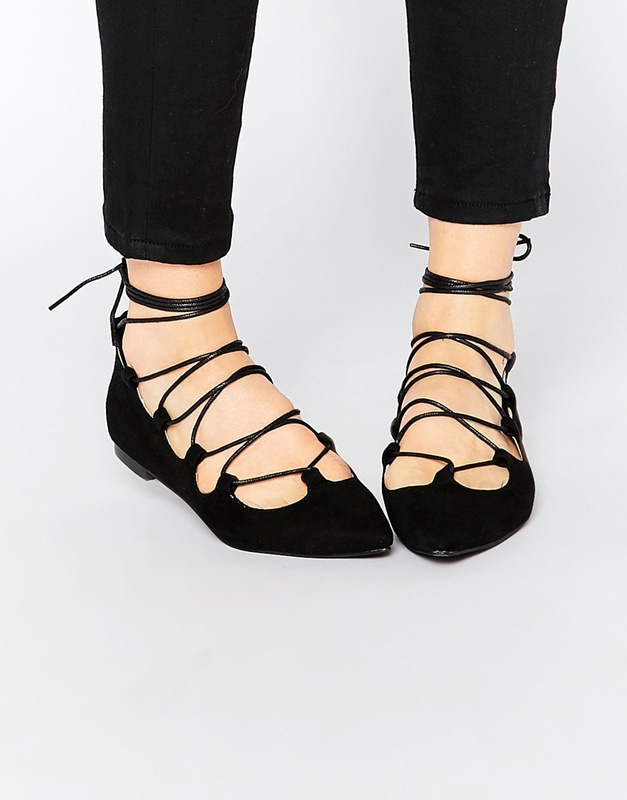 I'm obsessed with lace-up shoes at the moment, especially the ever-popular Ghillie flats. Ever since Aquazzura made the style popular, I've seen them on just about every blogger I follow. Here's hoping the lace-up trend is here to stay! To get the look yourself, check out the gallery below and be sure to share with us on Instagram or Twitter @stitchandstrut how you style this dress yourself. We're also on Pinterest now, so be sure to check us out! I've got two weeks left of summer, which means two weeks left of sleeping in, two weeks left of binging on episodes of Mad Men on Netflix and two weeks left of not thinking about my next assignment due in statistics or my next exam in accounting. Two weeks left of freedom. Fashion is always a good distraction from those thoughts, and lately, I've been rocking pieces from Aerie and seeking out affordable alternatives to my most coveted designer accessories. I just wrapped up my Instagram takeover for my local Aerie, and this was one of the few looks I shared, keeping it casual and comfortable to enjoy these last few weeks of summer. Aerie has been on point lately with jumpsuits and rompers, and this wrap front knit jumpsuit in heather gray has to be my favorite. It's trendy and stylish yet still comfortable, made from a super-soft stretch jersey. The simple silhouette and neutral color make it easy to style, and I chose to pair it with an Aerie boho bralette in navy to keep with the cool tones of the jumpsuit. As I said in my last post, bralettes are on trend and a great alternative to an underwire bra, especially since the beautiful lace is meant to show from under your clothes. It's a fun way to layer in the summer and add a little depth to your outfit. One major purpose of this blog is to share affordable alternatives to pricy designer musts, so when I came across this moto jacket crossbody bag from Nasty Gal, I knew I had to have it and share it with you. It bears a strong resemblance to the Moschino moto jacket shoulder bag, a favorite of mine. It also has an adjustable and detachable strap, offering three ways to wear: shoulder bag, crossbody bag, or clutch. 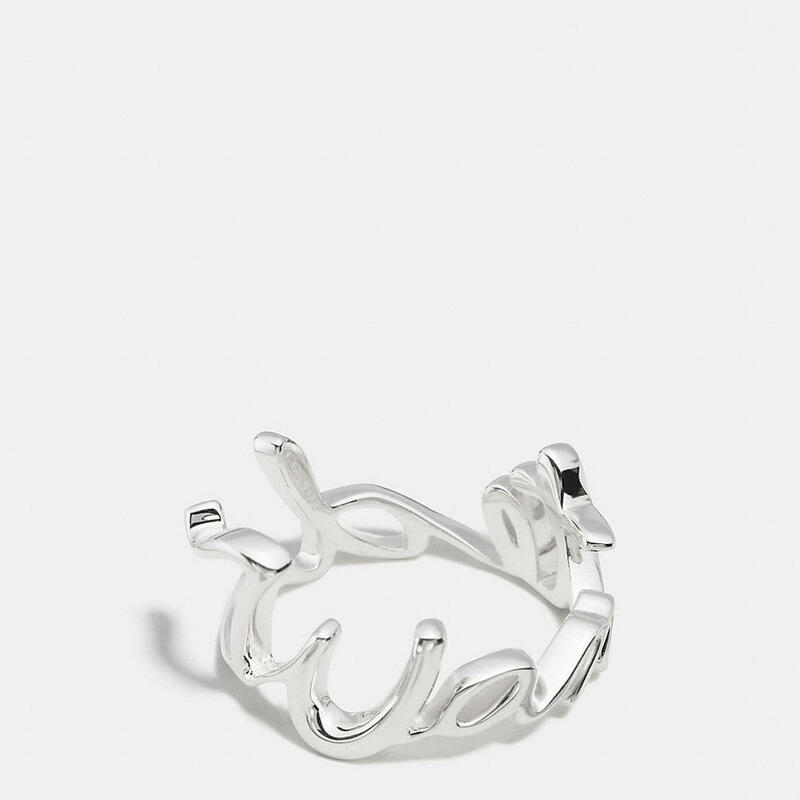 My Charming Charlie nail hinge bangle is also an affordable alternative to the iconic Cartier juste un clou bangle, and at $10 vs. the $10,000 plus Cartier version, it's a steal. To finish off this look, I wore a Betsey Johnson cupcake necklace in hematite, Baublebar mason ring in hematite, Target snake ring, Coach double orb earrings, and silver Marc Jacobs watch matched to silver nails. My spiked black and silver sandals are Simply Vera Vera Wang and my sunglasses are my favorite Prada wayfarers. As always, check the gallery below to shop this look and check us out on Instagram @stitchandstrut for more fashion finds! My favorite musicians often inspire my style like with this particular look where I took influence from Julian Casablancas of The Strokes. The Daily Strut | "What Ever Happened?" Music is my lifeblood, even more so than fashion. I know that's probably not what you want to hear from a fashion blogger who has made it her life goal to make it to Elle magazine or follow in blogger extraordinaire Chiara Ferragni's footsteps, but music constantly swirls in my head leaving me in a haze, flowing through my veins, both intoxicating and invigorating me with staccato rhythms, violent drum beats, and ultra smooth, ethereal melodies. It's a constant inspiration in both my creative writing and style. I take cues from my favorite musicians regularly. When I was in middle school and on my huge Green Day and Good Charlotte kick, I wore converse on the regular and lined my eyes in thick, black kohl. On the pop side, Marina and the Diamonds and Katy Perry have inspired my whimsical nature, from wearing Vivienne Westwood rubber peep-toe pumps with metallic hearts to perfume bottle clutches. My biggest inspirations, however, have to be from my two favorite bands: The Strokes and Spoon. Julian Casablancas (The Strokes) and Britt Daniel (Spoon) are both my musical idols and style icons, and this look is inspired by the former. I often take elements of Julian's casual cool from the early aughts and punk-rock, motorcycle jacket clad sensibility of today along with Britt's simple and sophisticated look and combine them with more feminine pieces, melding my style with a little bit of theirs. This shirt always makes me think of Eternal Sunshine of the Spotless Mind when Clementine says, "Meet me in Montauk." With the Big Guava music festival coming this weekend, marking the first time I'll get to see The Strokes live (I may pass out from excitement), I styled this OOTD with a shirt reminiscent of Julian's style circa Room on Fire, an excellent album that if you haven't heard, your should load up on Spotify stat. The shirt, which you can see in the gallery below, is an olive green mechanic's work shirt, fitted with red and white patches above mitered flap pockets. Without overanalyzing the choice of this shirt too much, I like and find kind of funny the nonchalant nature of choosing a utilitarian, workwear top from a laid-back rocker. Paired with black pants, red converse, and white belt (oh, how very early aughts that white belt is), Julian's look is representative of the music culture of the time. Though my shirt is a little more military than mechanic, I bought it from American Eagle for its resemblance to Julian's. Also, Eternal Sunshine of the Spotless Mind is one of my all-time favorite films, and I think, "Meet me in Montauk," every time I look at the patch on the arm's sleeve. To mirror the singer's later style, I aimed for an edgy look, incorporating metallic studding throughout in my jewelry, but I also wanted to keep things feminine. I opted to tuck my shirt into a black, pleated skater skirt rather than pants. Instead of converse, I wore DV by Dolce Vita booties. The stacked straps mirror the iconic lacing of Chucks. My Baublebar gothic fang bib in gold exudes edgy glamour and pairs perfectly with my Juicy Couture studded, matte-black cuff and crescent moon stud earrings. To go with the utilitarian vibe of my shirt, I wore my Coach Rhyder messenger in bronze metallic leather, a favorite of mine for school and weekend errands. It's a stunner in person but also highly functional with its multiple spacious compartments and crossbody strap. I typically wear it with my Buster Le Fauve bag charm from the Coach x Gary Baseman collaboration, which I stalked for months and spent a small fortune on. 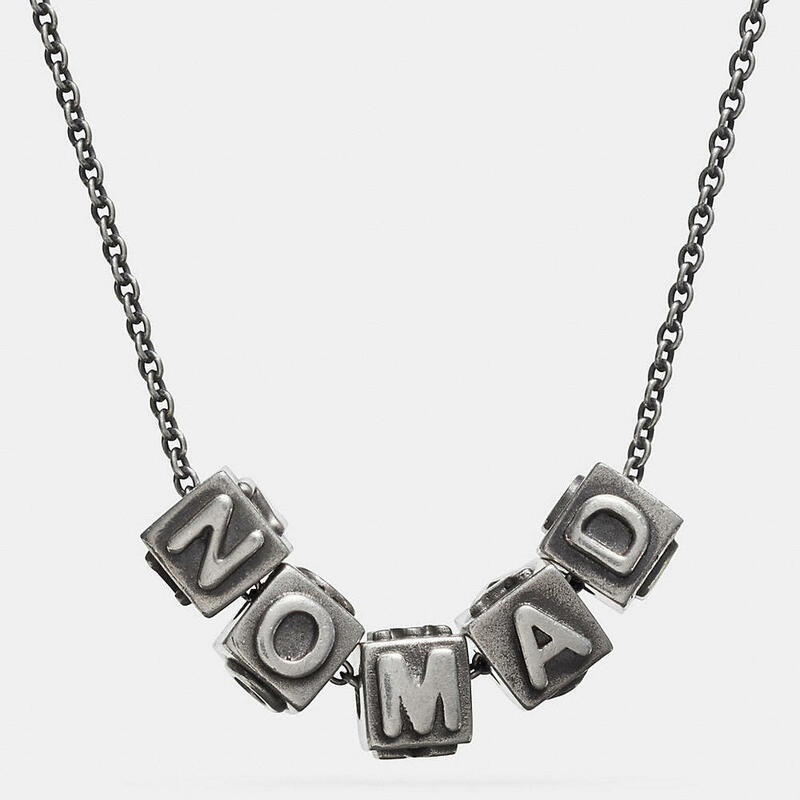 This charm was one of the first pieces I bought and adds to that whimsical nature of my style I love so much. And of course, the look wouldn't be complete without my favorite Prada shades. Despite having an overwhelming amount of sunglasses, these are the only pair I seem to be wearing lately. 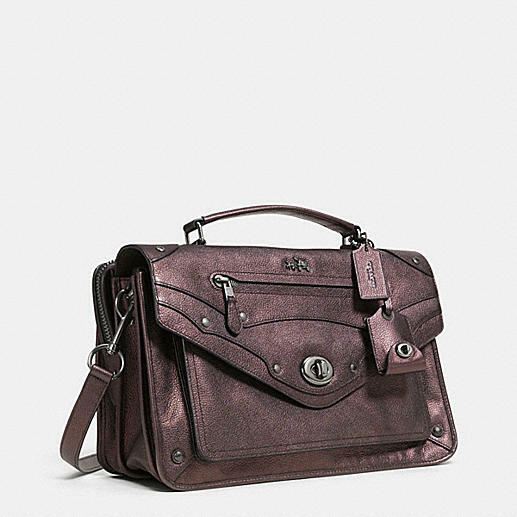 My Coach Rhyder messenger in metallic leather is a go-to of mine for its utilitarian vibe. I paired it with this Gary Baseman for Coach bag charm. These DV by Dolce Vita booties are a more feminine and edgy alternative to Julian's Chuck Taylors. Balck and gold studded jewelry add a more punk rock feel to this look, reminiscent of the singer's later style. Alright, long post over! Clearly, I'm very excitable over music, especially when I incorporate it in to my style, as I'll be doing when I head to Big Guava this weekend. If you haven't listened to The Strokes, "What Ever Happened?" is a great track to start with. Checkout the gallery below for my inspiration as well as similar pieces to get this look yourself. Click through for links. Has music inspired your style like it has mine? Do you have any musical style icons? Tell us in the comments below. If you're going to Big Guava, let us know! The Stitch & Strut team will be there Saturday seeking out the best festival fashion to feature on the blog. For my twenty-third birthday, I chose a look that encompasses two of my favorite styles: edgy cool and old-school glamour. The Daily Strut | Birthday! I'll admit, I get a little overly excited for my birthday each year, but how can you blame me? March 12 has always been an exciting day of celebration with my family and friends from roller skating parties in grade school to seeing Pippin on Broadway last year with some of my coworkers and dearest friends. March 12 also means cake, and well, CAKE! I love it. Probably a little too much, but I digress. Perhaps my favorite part of my birthday is picking out what I am going to wear (I am a fashion blogger so would you expect any less?). I always try to wear something that's quintessentially my style at the time, just a bit brighter, bolder, and maybe sparkly. For 23, I chose a cross section between edgy cool and old-time glamour, two of my favorite styles. Accessories are key to melding edgy with glamour, so I opted for this stunning Baublebar bib, my go-to Prada shades, and Baublebar crystal mason ring. First, I have to tell you about the insane deal I got on this dress. Seriously, whoever handles markdowns at Nordstrom Rack must be crazy because the deal I got had to be below a zero margin. It's BCBGMaxazria and regular $268. I had seen it the first day Nordstrom Rack opened in my town in the fall. Despite my adoration, I wasn't ready to take the plunge. That changed this weekend when I saw it marked down to $9.90. Just crazy... What drew me to this dress was its Marilyn Monroe vibe from her role in Gentlemen Prefer Blondes, modernized with a shorter hemline. To edge up this glamorous party dress, I paired it with my favorite faux leather motorcycle jacket from Zara, a major staple in my wardrobe. I wear this jacket all the time and probably too much since threads are already starting to come loose. If you don't have one, consider investing in a leather bomber or motorcycle jacket because it's one of the best layering pieces you'll own. At $79.90, this Zara jacket is an affordable option that looks both edgy and luxe. This Zara leather motorcycle jacket is a staple in my wardrobe and makes an excellent layering piece. Now, the real standout to this look isn't my jacket or dress. It's this gorgeous statement bib from Baublebar. I've been obsessing over Baublebar since summer. The product is fantastic, and the customer service is on point too. This gothic fang bib is from the brand's collaboration with model Coco Rocha. I received it for Christmas in antique gold and after the holidays, found this one in hematite at Nordstrom Rack for only $15 (regular $58)! It so perfectly encompasses the two styles I'm channelling with glamour in the rows of crystals and edgy cool in the cone spikes. I'm all about statement necklaces like this. They can easily pull an outfit together and add a little glamour to your daily strut, be it at the office, on a date, or out with friends. This Baublebar gothic fang bib is equal parts glamour and punk rock. It's an attention grabber fit to build an outfit around. Pearl-backed studs are very on trend and are a unique, tribal-like take on a classic piece of jewelry. This leather and chain Coach toggle bracelet is my go-to accessory for spring with its stark contrast against the season's bright colors. I kept my shoes simple and elegant with these Zara patent sandals but had some fun with the rest of my accessories. 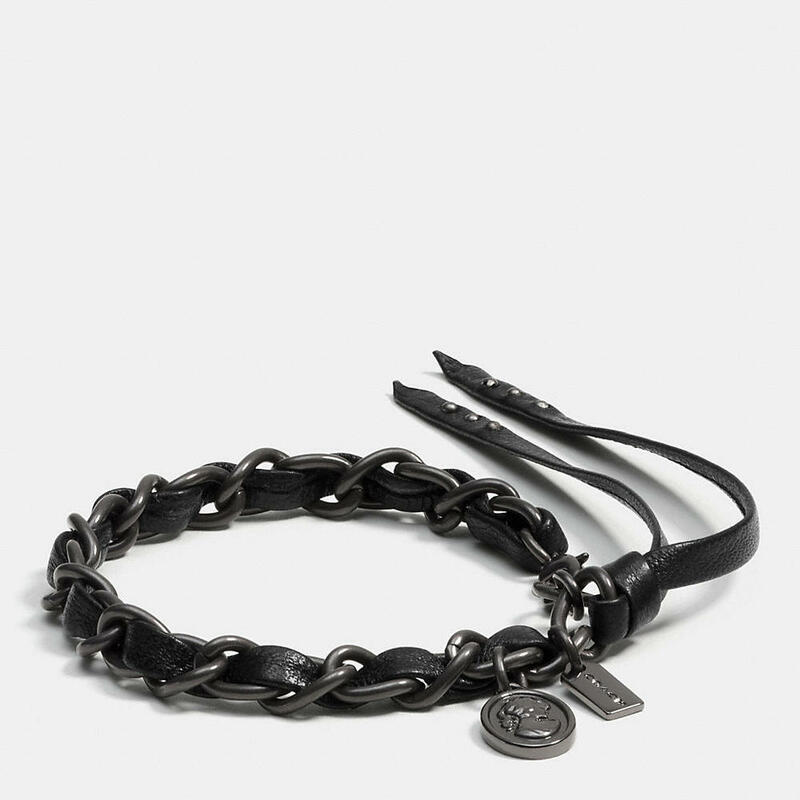 This leather and chain toggle bracelet from Coach is my go-to accessory this season, along with these 360 studs, an affordable alternative to the Dior tribal studs seen everywhere on the red carpet. I own a few from Baublebar and Steel Time (like the pair I'm wearing pictured here). You can also find similar options at Target and The Limited. My hematite crystal mason ring from Baublebar is a new favorite and a perfect complement to my bib. For my bag, I opted for this Papaya quilted purse, reminiscent of the Chanel Boy bag (both classic and edgy). To top it all off, I wore my favorite Prada shades to block out the intense sunshine we've had in Tampa this week. It was in the 90s when we were shooting this look! I hope you all enjoyed this latest post, and to all my March babies out there, happy birthday! If you like what you see, check out the gallery below for some of the pieces mentioned above and similar options to shop online. Click through for links. With fall here, I had to break out my American Eagle over sized wool blazer for a vintage look. Spring may be my favorite season, but fall has the best fashion. This time of year signals us to start breaking out our coats, warm hues, tweed blazers, tights and more. One of my favorite components of styling is to layer, and now that we’ve escaped the heat wave of summer (especially here in Florida), we can ditch those sundresses for sweaters and scarves. For those of you up north, fall came around a while ago, but down here the weather just got cooler, so to start off the season right, I chose one of my favorite cooler weather vintage and Audrey Hepburn-inspired looks. A black cross body satchel is both classic and functional. I wear this 3.1 Phillip Lim for Target bag all the time. The standout piece here (and my starting point) is this wool blazer by American Eagle. As it’s over-sized, it has a very menswear look to it while the texture and dual hues give it a vintage feel. Although AE no longer sells this blazer, try stealing your dad’s or boyfriend’s for a real menswear look or hit up your local thrift or vintage shop for something similar. To keep the blazer as a focal point, I chose classic pieces underneath that are wardrobe staples for any woman. A classic white button-up is a must, and the pleats and delicate ruffles on this Forever 21 blouse add a dash of femininity to this staple. I tucked this into black hi-rise jeggings, also by American Eagle (and the best pair of jeans you’ll ever wear!). Although I often style these shoots with heels, I live in flats. They carry me through work and classes and I have so many, I’ve lost count! Ballet, pointed, leather, suede, patent, studded and spiked, bedazzled, electric blue, classic black, gunmetal, you name it. These Zara metallic gold ballet flats were a great find at under $20 and complement the gold hardware in my accessories. This Capsule by Cara statement necklace from Target is the perfect way to glam up a classic or neutral look with its black and iridescent stones. The classic wayfarer is my favorite, so I was excited to find these Prada sunglasses that offer a modern interpretation of that shape. These metallic gold Zara ballet flats with black bow detailing are a favorite of mine to add a little glitz to my everyday look. To accessorize this classic outfit, I paired it with a black 3.1 Phillip Lim for Target cross body satchel, a Target statement necklace with black and iridescent stones (only $29.95 and still in stores), a faux calf hair, leopard-print belt from American Eagle and black Prada sunglasses. A Nordstrom Rack just opened not too far from my house and these sunglasses were one of my first purchases at an incredible deal: regular $195, bought for only $89. They are a modernized take on the classic wayfarer with a funky dual finish: matte on top, shiny throughout. To get this look, checkout the gallery below! Click through the images for links.